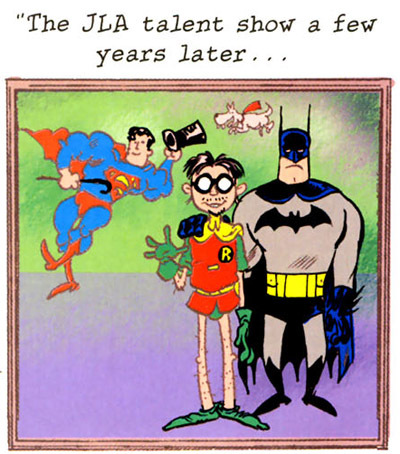 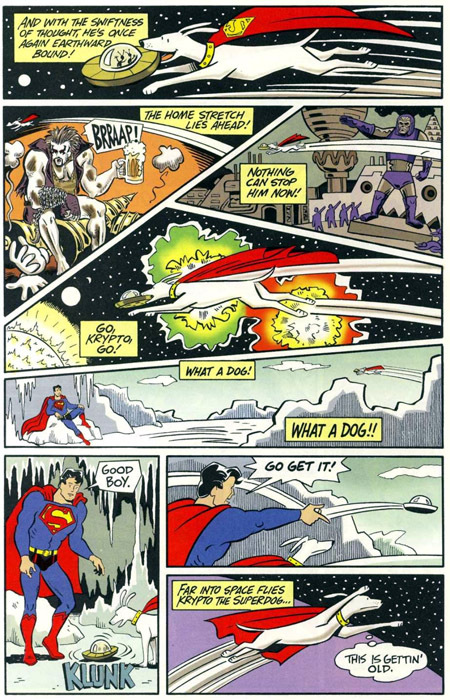 The Bizarro World hardcover featured almost 200 pages of DC superheroes material written and drawn by indie writers and artists for the most part, and Krypto got his own two-page feature by Paul Dini and comic strip artist Carol Lay (Story Minute, Way Lay). 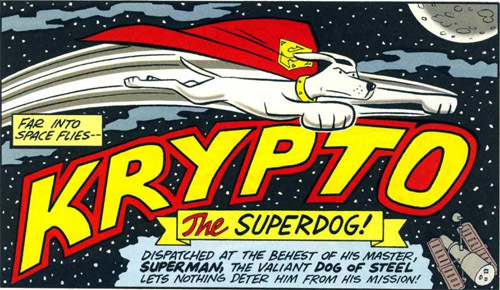 It's all about Krypto's unwavering devotion and loyalty. 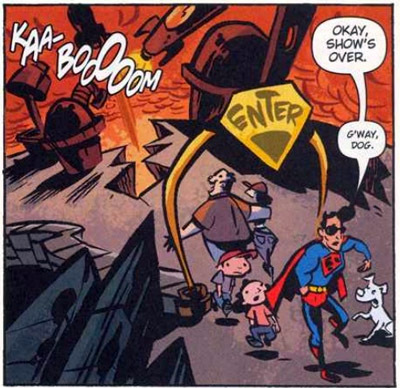 But then, dogs tend to fixate, don't they? 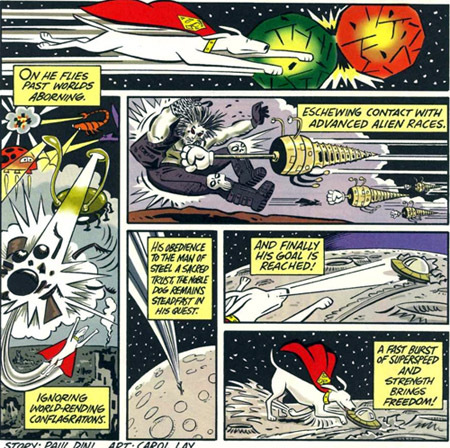 Superman seems to be doing his own thing there, so I wonder if Krypto had his own "stupid pet trick" to showcase at the JLA's talent show.